Heavy duty trimming knife blades 0.63mm thick (0.025") to fit all types of Stanley, Stanley FatMax, Delphin, Allegro, Shark and other makes of hand tool. Used by professionals in industry, flooring, roofing, warehousing, subcontract packing, DIY, crafts, graphic arts and for many other uses. 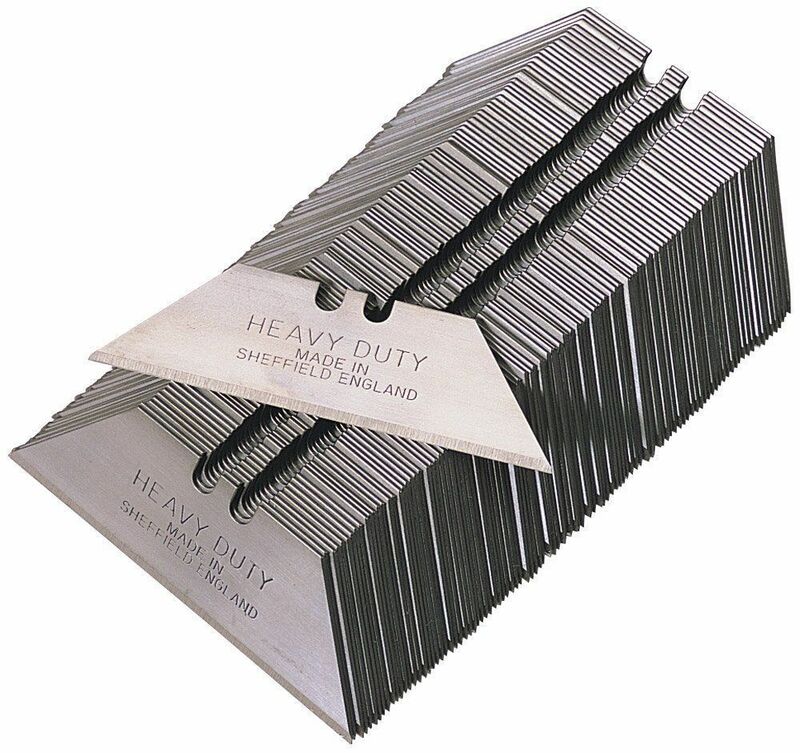 Manufactured in hardened and tempered carbon steel, these razor sharp heavy duty quality blades are designed to withstand the most arduous materials and tasks. The blades are very robust, are lightly oiled and packed in paper tucks / wraps of 5 pieces and are boxed in 100's.